Our staff is referred to in our program exclusively as EduCare providers because we honor all roles of our staff to educate, serve, and support our child care families. We are a licensed Type B Family Child Care program. We hold a Star SUTQ rating and promote excellence in early childhood by continuing our dedication through on the job training beyond basic requirements. We also continually seek accreditation through early childhood programs for advancement in the field. Our Type B Licensed Provider is Stephanie Geneseo, Owner/ Director/ Advocate. Stephanie has been recognized in her community as the 2004 Ohio Department of Education Irene Bandy Hedden Community Leadership Award recipient. She has been awarded honorary certificates for child care from the State of Ohio, and been recognized by A Place of Our Own in 2009. Stephanie has worked for the Huntington, WV American Red Cross Disaster Services team as a volunteer in her community. Stephanie also worked to support higher education for early childcare professionals as a T.E.A.C.H. scholarship counselor. It is evident she has dedicated her life to supporting early childhood innovation and education. Stephanie has a BS in Organizational Leadership and her AS in Child Development. She has run her Family Child Care home in Chesapeake since September 1999. Prior to beginning her child care goals, Stephanie served in the USAR, ran a successful campaign as a Republican candidate for her county seat in the WV House of Delegates, and has raised her family and others as a private Nanny. 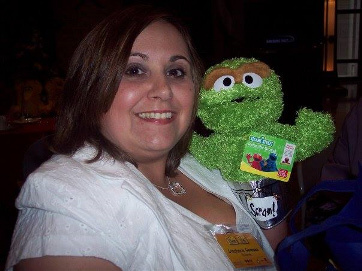 Stephanie also serves in the Tri-State community by supporting advanced training in early childhood care and education in her roles as a CDA Professional Development Specialist, and in the role of the Committee Chairman for Building Bridges Huntington Area Early Childhood Conference Committee. Stephanie is a strong advocate for Family Child Care. She has affiliations with: OAEYC, NAFCC, WV FCC Association, and Cabell Wayne Family Child Care Association. Stephanie is always ready to lend her voice for children and families. Substitute Provider: Viki Price. Viki serves as a substitute EduCare provider in the classroom as needed. Once a parent in the program, Viki now assists with daily activities and support of the All Nestled Inn vision. Viki has a background in Nursing and is working towards her educational goals in leadership. Copyright © 2017 All Nestled Inn. All Rights Reserved. Designed by GraFitz Group Network Web Design.